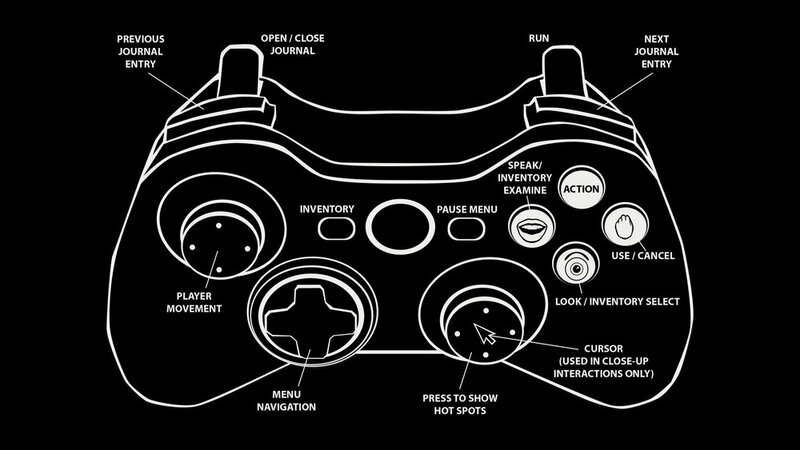 Here's the default controller layout for the upcoming patch for "Arkhangel: The House of the Seven Stars". You'll be able to modify it to your liking! The game controller is quickly becoming our preferred way of playing the game! We're getting closer and closer to wrapping this patch up. It's been a big one! “…however, when the wagon rounded the bend, the freshly painted, beautifully restored covered bridge was not at all where the trio of travelers’ eyes fell. The blood drained fully from Lady Harper’s face, and Lord Harper’s breath caught in his throat. Behind them, atop the burlap tarps, Ms. Anderson fainted dead away, almost falling over the edge of the cart entirely. In the middle of the road, but above it by the height of a full-grown man, there hovered an apparition. But no apparition about which had ever been written in books or whispered in dim firelight. It was translucent, but colorful. Colorful is a poor word to describe it, however. Light shone from with it, light from a spectrum never before seen by human eyes. The colors that composed this ghostly being were not from this world. It was formless, and yet constantly changing shape. It was amoeba. Medusa. Jellyfish. People are talking about Arkhangel! "It has all the makings of a classic..."
In addition to that, we were also trending at #1 on Adventure Gamers! How cool is that? So what are you waiting for? Check out "Arkhangel: The House of the Seven Stars" today! "Arkhangel: The House of the Seven Stars" is available NOW! We are extremely excited to announced that "Arkhangel: The House of the Seven Stars" is now available on Steam for PC & Mac!! We greatly appreciate all of the support over the years and we are so excited that we can finally share our work with all of you. Please check it out and let us know what you think on our social media feeds (and don't forget to sign up for our newsletter)! Winter Night Games, LLC has announced that its first game, Arkhangel: The House of the Seven Stars, will be released on Steam for Windows and Mac platforms on Friday, July 27th, 2018.